The 2025 Taskforce published its report to the New Zealand Government on November 30th, suggesting a number of taxation and government spending changes it believes are necessary in order for the country to close any incomes gaps with Australia. Changes were announced on November 24th to both the New Zealand minimum family tax credit and fringe benefit tax (FBT) on low-interest employment related loans. A supplementary order paper was released on November 24th, with several proposed additions to the Taxation (Consequential Rate Alignment and Remedial Matters) Bill. 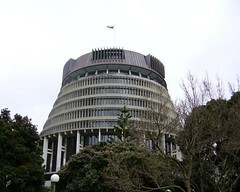 Peter Dunne, New Zealand Revenue Minister, announced the release of a supplement to the Taxation Bill, which is near its final stages of parliamentary approval. The first of the amendments involves GST on inbound tour packages, the second concerns non-resident withholding tax rate reductions, and the third involves superannuation portability. 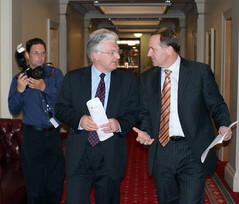 According to Peter Dunne, the remaining six changes are minor and remedial. In a speech made by Gerry Brownlee, New Zealand Energy Minister, on November 18th, it has been made clear that the New Zealand Government is actively setting its sights on the petroleum and gas industry to help fix its budget deficits.